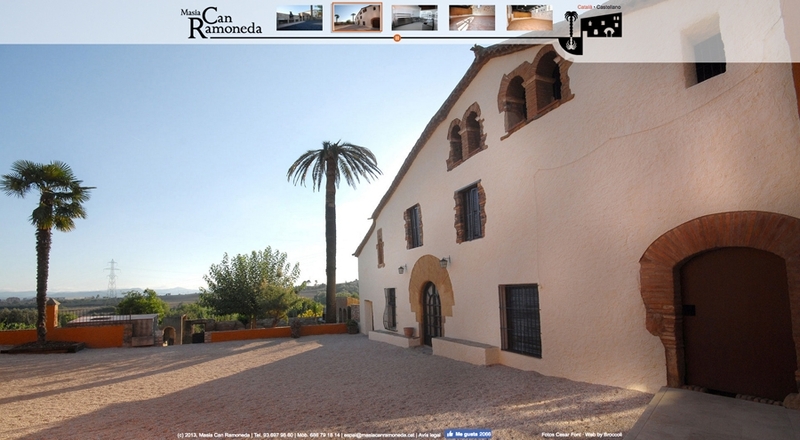 The Ramonedas are a local family from Rubí who wanted to find a new use for their historical farmhouse, which would allow them to share it with other people, breath new life into it and also ensure its upkeep. After a much needed restoration they have created a very special place to hold events, family celebrations and business meetings. We had it very clear that in order to create the right corporate identity we had to delve back into the historic identity of the farmhouse. We found two essential particularities: firstly the iconic palm tree at the front of the farmhouse, and secondly its location at the top of a gently slopping hill which gives way to the natural environment of the west of Rubí. 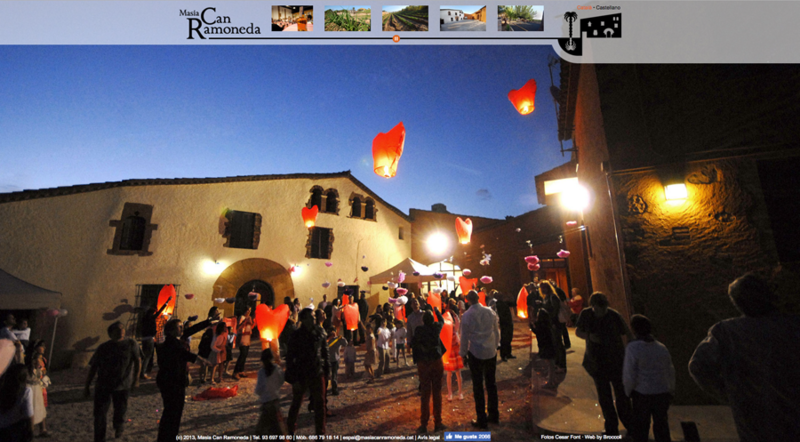 Its special location against the typical flat expanse of the Vallès region is something quite special. 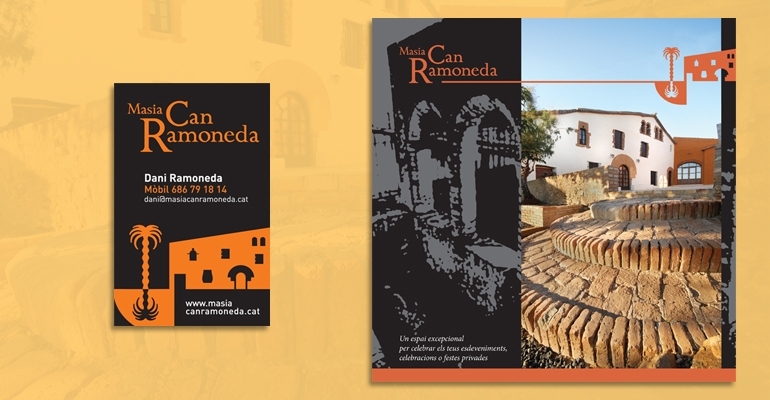 The logo, the promotional material and web page of Masia Can Ramoneda takes this idea and intertwines it with the architecture of the house, the gabled roof and the rural heritage that resonates from its threshing floor. 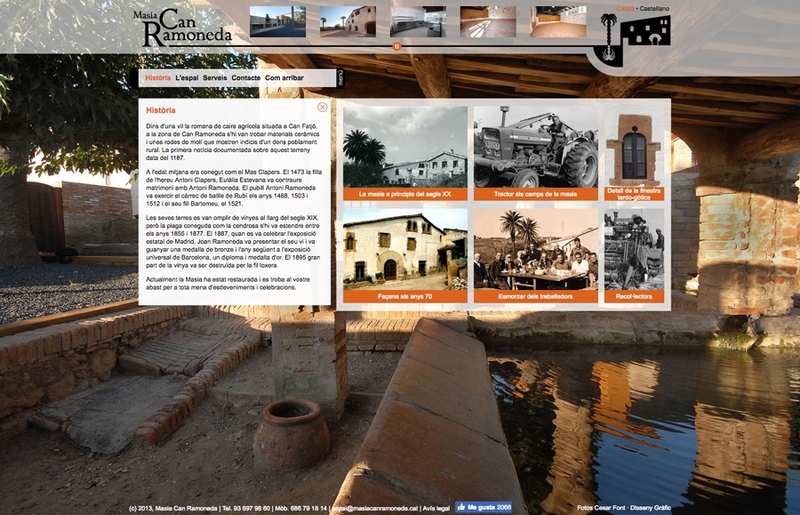 On the web page we used the most picturesque spots of the house to show both the quality of the restoration that has been carried out as well as the efforts that have been made to keep Can Ramoneda authentic out of respect for their ancestors.